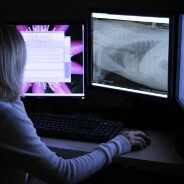 We are a pre-clinical research consulting group comprised of veterinary and human radiologists. Quality is the cornerstone of our success and continues to be the most important factor in the evolution of our business. We are committed to every project through solid management, technical excellence, safety, and efficiency, without unnecessary costs, to always meet client expectations and fulfill regulatory requirements. The track record of our staff spans more than 30 years and includes participation in over 100 research projects for both small and large research firms. Health, safety, and standard operating procedures are of the utmost importance. To mitigate and minimize any potential hazards to the services we perform, we developed a health and safety program to ensure the well-being of patients and personnel. At all times, there is a safety officer present during each procedure, and all personnel must undergo annual safety training and continuing education in order to qualify for project involvement. Our medical and imaging equipment is regularly maintained, calibrated, and tested according to USFDA, Good Laboratory Practice (GLP) and Good Clinical Practice (GCP) guidelines. We also regularly update our standard operating procedures (SOPs) and quality assurance/ quality control documents and follow CRO protocols.